Since its modest beginning in 2008, the Advocacy wing at The Humsafar Trusts has been engaging with the community at various levels. At present, the wing functions at five levels which include sensitization, community mobilisation, media relations, crisis management and policy change. Creating social spaces LGBTQ sensitive and inclusive is the key objective of HST’s Sensitization. As part of this initiative, the advocacy team engages with several stakeholders such as the police, the bureaucrats, policy makers, the press and the corporate sector. To enhance its outreach, the team has implemented innovative methods like organising workshops, film screenings, street plays and demonstrations. Ek Madhav Baug written by Late Chetan Datar is one of the pioneering plays written on homosexuality and acceptance of LGBTQ community. The poignant play tells the story of a 21 year old young boy coming to terms with his sexuality. The play is seen from the viewpoint of the mother of the young man who is reading his personal diary in which he speaks to his mother about growing up, conflicts faced in coming to terms with his sexuality. The play brings out the emotions of the mother and son and leave no soul untouched through its intensity and heartfelt content. Ek Madhavbaug is performed in Hindi and English by Mona Ambegaonkar who has numerous theatre, film and ad campaigns to her credit. We have performed over 30 corporate spaces in India. The play is performed in two formats- play reading and full stage play performance. The play reading format was developed to increase the outreach of the play. The reading format is logistically quite minimalistic- it requires only a simple table and chair in terms of set-up. The full stage format has props, lights and sound which requires some set up and technicians. This format is usually for auditoriums and theatres. HST has been producing films as a tool for advocacy and entertainment. Films are one of the main ways in which HST has been creating interesting content for allies and communities. Films like 68 Pages, Bolo, Aa Muskura, MTV Staying Alive Short films are some of the resources available. HST has also been the co-founder of India’s largest LGBTQ film festival- KASHISH MIQFF. Kashish is a great platform for mainstreaming of the LGBTQ community. It brings queer films from diverse set of countries to a mainstream venue in Mumbai in a 5 day festival. We conduct interactive session tackling the basics of inclusion of sexual and gender minorities. This workshop will help give you a real-world view of what an TG inclusive space should look like. It also goes into detail about the LGBT community, the issues both legal and social and explains through films and activities how stigma and discrimination play a role in workplace dynamics. The Community Mobilisation drive aims at creating leadership among community members through active intervention and outreach. This is carried out in association of various support groups namely Yaariyan – a youth initiative of the HST, Umang – an LBT support group of HST, Sanjeevani –a support group for MSM and Transgender individuals who are living with HIV and Queer Azaadi Mumbai (QAM) – a collective of LGBTQ organisations that together organise Mumbai Pride March. Besides, HST takes active participation in community events and the annual pride march held in various cities across the country. The press and the media play an important role in sensitizing the society about the LGBTQ community, thus it is vital for HST to be positively engaging with the press. HST associates with the media through a set of robust social media handles, regular press releases and maintaining a positive image of the HST. Besides keeping a watch on the press to ensure that reportage is fair, just and sensitive, HST also conducts regular workshops with media representatives. The Humsafar Trust has been consulting with organizations on their diversity and inclusion needs since 2010. Through our outreach with organizations we have been helping to create inclusive environments, help in cases of discrimination, design policy change and have set up partnerships with over 30 organizations across India. We have a diverse set of activities which we conduct to make LGBTQ supportive workplaces. We support recruitment, policy change, sensitization and engagement. HST, as part of its mandate, strives for creating better laws and legislations spreading across arenas for the future generation of the LGBTQ community. In doing so, the organisation actively engages with corporate offices, educational institutions, senior health officials and law makers. HST also files PILs and petitions for the elimination of archaic laws that discriminate against the LGBTQ community including section 377 of the India Penal Code (IPC). Since its inception, the organisation has been regularly receiving cases where LGBTQ individuals have faced violence and discrimination on various fronts, these are dealt with utmost sensitivity and empathy keeping in mind the psychological needs of the victims. 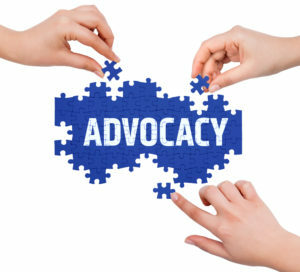 The advocacy team is well equipped to handle these cases and also provides legal assistance for clients. Through these various initiatives and projects, HST has brought the issues relating to LGBTQ rights to the forefront. It is the result of these continued and dedicated efforts which has brought acclaim and praise by the public health authorities in Mumbai and India.